WORK and home are very separate spheres for many parents who struggle to balance the two. But there can be a successful overlap, promises entrepeneur and parenting coach Nadim Saad. The father-of-three firmly believes employing common-sense skills learned at work including teamwork, effective communication and forward planning, can radically improve family life. He's written a book, The Working Parents' Guide To Raising Happy And Confident Children, to explain just how parents can use the skills often unconsciously utilised at work to hugely improve family life. "Rather than trying to separate work and family life, we might be able to benefit from drawing more parallels between the two," he explains. 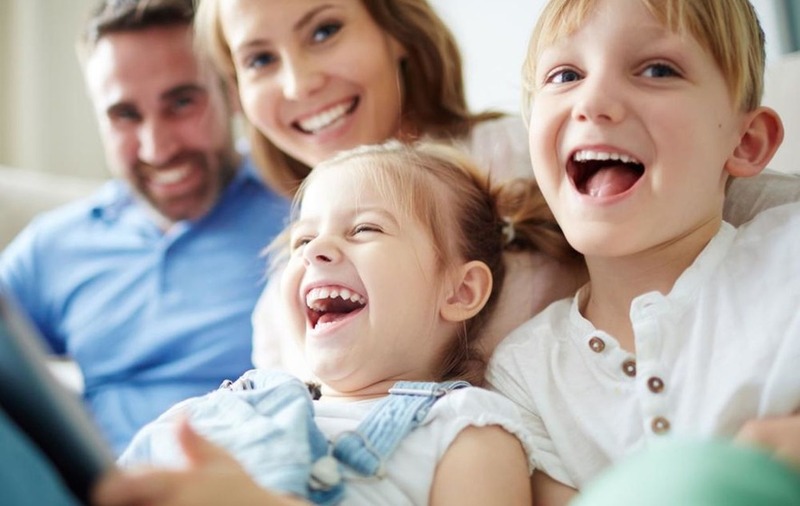 Saad outlines a series of tools and techniques designed to help busy working parents raise happy and confident children, including teamwork, planning ahead, creating routines, asking questions, positive redirection, effective communication and leading by example. An important way of improving the family dynamic is by trying to stop controlling children and ordering them to do everything, explains Saad. He says there are simple alternatives to orders, and the first is asking questions. "You don't need to remind children all day what they have to do, because they already know in at least 90 per cent of cases and they just shut you off because you're repeating yourself," he says. "Make them responsible," he says. "They think, and they become much less resistant than when they're in their defensive mode." In a similar manner, instead of threatening children by saying things like, 'If you don't do your homework, you're not going on the Xbox', Saad suggests parents should replace the negative with a positive – so make it, 'As soon as you've finished your homework you can go on the Xbox'. "That non-confrontational approach completely changes the dynamic, because it focuses on what you can control," says Saad, "and the kids stop wanting to control you because they don't feel controlled either." Another tool is to give children choices, such as asking them if they want to leave now or in five minutes. "Children just love it because they feel they've got more control," he says. He explains that if parents can make children feel mum and dad aren't the bad guys and whatever's going on is their own choice, if that choice goes wrong they'll understand they're just experiencing the consequences of their own bad choice. It's much the same as a manager delegating responsibility at work. Saad stresses that if children are whining and arguing, a parent getting angry or shouting just makes the situation worse. "Unfortunately it reinforces the whining and arguing, because children prefer negative attention to no attention at all. "They don't realise this negative attention isn't fulfilling their needs, so they still do it." Saad suggests families should regularly get together for meetings, just like staff meetings at work, and start them with gratitude and compliments. "Make sure there's a shared sense of purpose as a family," he advises. "Then you can discuss other issues that may not be working, and what you can do as a family to make it work. Ask questions, like 'What are you supposed to do now?' Use a positive and enforceable statement, such as, 'I listen to children who listen to me'. Instead of giving in to whining, try asking a question like, 'Do you think I can understand you when you speak this way?' Use a positive and enforceable statement, like 'I listen to children who speak in the same tone of voice as mine'. To help prevent the kids' morning slowness making you late for work, try planning ahead by getting clothes ready the night before, and getting the kids up earlier. Use positive and enforceable statements such as, 'My car leaves in five minutes and I take children to school dressed or not dressed'. Problem solving: ask your child what they could do next time to help them get ready faster. :: The Working Parents' Guide To Raising Happy And Confident Children by Nadim Saad is published by Best of Parenting Publishing, priced £11.99.